2ТМ > Our participation at fairs > 2TM Holds a Seminar for Kharkiv Citizens on Education in Slovenia – Hurry to Be Enrolled This Year! 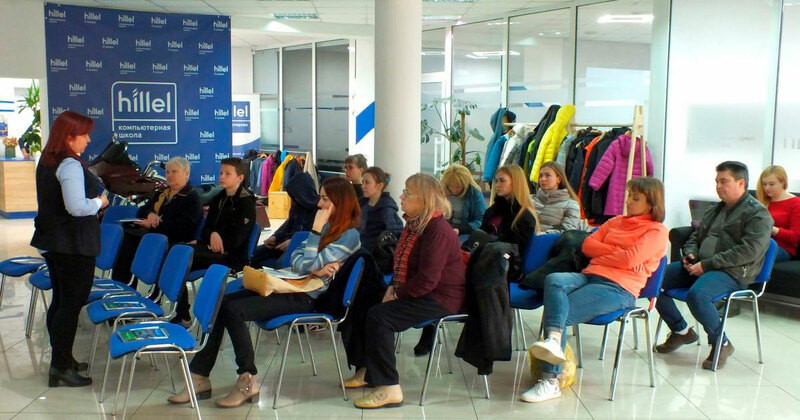 On Saturday, 6 April, the Hillel computer school in Kharkiv held another educational seminar by the 2TM Company devoted to the issues of admission and studies in Slovenia. We talked about the ways to receive prestigious European education under favourable conditions in one of the most comfortable countries. The seminar was attended by pupils of the ninth and tenth grades of secondary schools, as well as current students who are interested in Master’s degree programmes abroad. At the beginning of the event, the seminar leader, the Head of the 2TM regional office in Kharkiv, Tatyana Sorokina, held a presentation of the Slovenian educational system and its advantages for those present. The company representative also told guests about the country itself. The seminar participants have never been to Slovenia, so the guests listened to the information about Slovenia’s sights, natural beauty and way of life with great interest. As for the main part of the seminar, the representative of 2ТМ acquainted the guests with a wide choice of Slovenian universities and study programmes, spoke about the system of bonuses and benefits provided for all students of Slovenian educational institutions. Particular attention was paid to the topic of employment – both in the process of study and after graduation. This topic aroused great interest among the participants of the seminar, who asked a lot of questions, in particular, about part-time work for students, employment advantages for foreign specialists with Slovenian diplomas, and average salaries and wages. Tatyana Sorokina also told the guests about the options for the Slovenian language courses and service packages that 2TM offers to applicants. We would like to draw your attention to the fact that now the universities of Slovenia continue the first round of submitting applications, during which applicants have the widest choice of study programmes. This is the best stage of the enrolment campaign, and you still have time to apply. Please note that the first round of admission at the universities of Ljubljana and Maribor ends on 19 April 2019. At the University of Primorska, it will last until 1 May 2019. For more information regarding admission to educational institutions in Slovenia, please contact our managers!